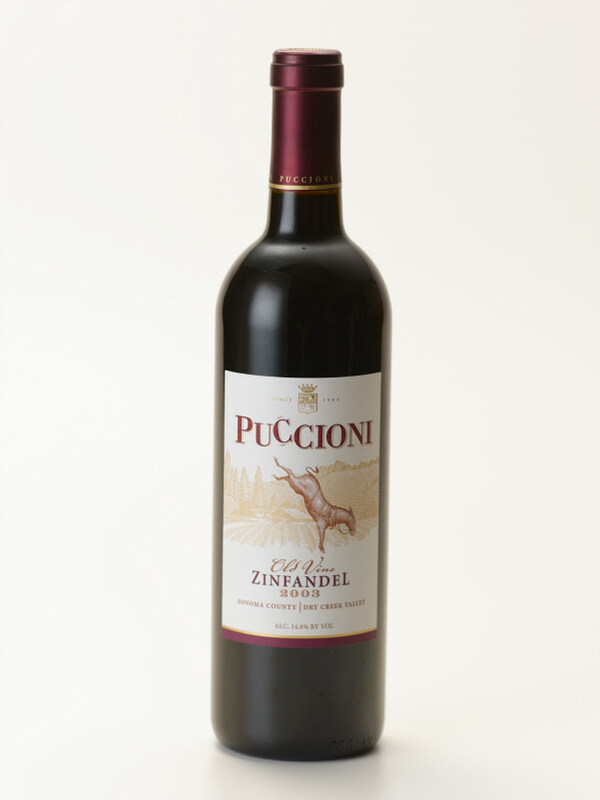 We have just released our 2004 Puccioni Old Vine Dry Creek Zinfandel. We have gotten some excellent comments on the wine with our early tastings. We are very excited about the wine and know you will enjoy it. Click on the title above to order our wine. Salute! Vineyard: Puccioni Vineyard in the hills above Dry Creek Valley. Zinfandel grapes came from the Old Block and the Nicoletti Ranch. The Old Block is 90-100 years old and the Nicoletti Ranch is 50-60 years old. Both blocks are head-trained and dry farmed. These blocks were planted by my great grandfather and grandfather. The Old Block was harvested on September 13th at 25.2 brix and the Nicoletti Ranch on September 30th at 24.2 brix. This was blended at 18% with Petite Sirah from Lambert Bridge Vineyards in Dry Creek Valley harvested on September 12th at 23.8 brix. Winemaking: The grapes were cold soaked for three days to promote extraction and concentration. It was then fermented in ¾ ton open top fermenters and hand-punched 3x per day for maximum development of color and varietal flavors. The wine was direct pressed to barrels composed of 70% older French and 30% new American Oak where it finished Malo-Lactic fermentation. The wine was aged for 17 months in Barrel, bottled in the spring of 2006 and is now being released. We are very excited!! We will be releasing our 2004 Puccioni Old Vine Zinfandel Dry Creek Valley on Aug 15th. A newsletter will be getting to our Puccioni Mules in the next week. We hope you enjoy the wine - we have gotten some wonderful comments on it . It will be on a first come first serve basis so get your orders in ! !